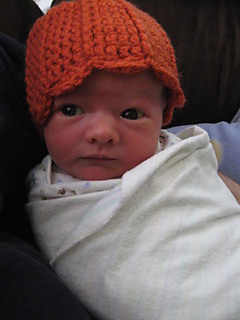 Due to recent feedback, I have updated the pattern to make the sizing instructions more clear. Please email me if you have any questions about the pattern. I always welcome contrsuctive criticism. Thanks! 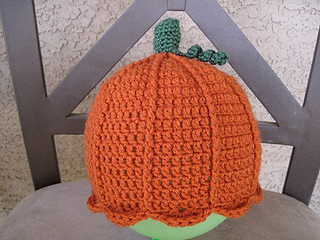 The pattern includes step-by-step instructions to make a pumpkin hat in baby, child, and adult sizes, as well as step-by-step instructions to make an amigurumi pumpkin toy. 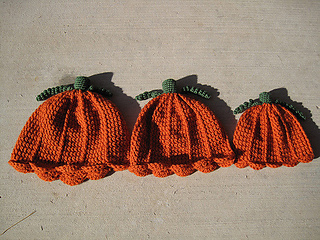 The pattern is suitable for an intermediate crocheter. Ch, sl st, sc, dc, tc, and fpdc (front post double crochet). Pattern is in PDF format, and will be e-mailed to you within 24 hours of the receipt of payment. Please make sure the email address on your paypal account matches the address where you want to receive your pattern. I am available through email or on Etsy to answer questions or provide pattern help if needed. Please note that since I also make custom hats on Etsy, hats made using my pattern may not be sold on Etsy (local craft fairs and personally commissioned projects are ok).